Gross Weight (GVWR) 10080 lbs. 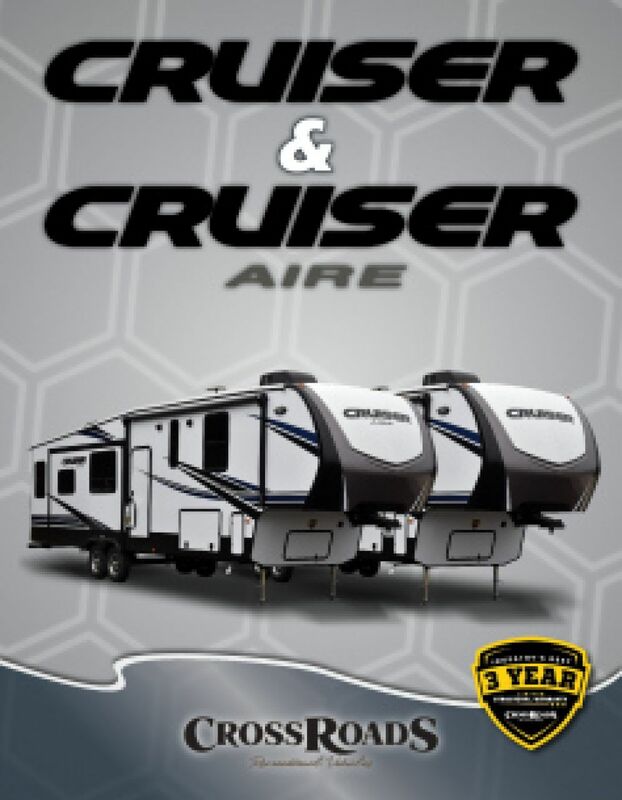 You'll love the comfort and style of the famous 2019 CrossRoads Cruiser Aire 27MK! This 5th Wheel is built for years of family adventures, from the local campground to far-away destinations! Stop by National RV Detroit to find this RV and other amazing models! We're located at 44700 N I 94 Service Dr Belleville Michigan 48111, so don't hesitate to visit us! If you would like to talk to our Cruiser Aire experts, call us now at 734-439-3400! There's comfy living inside this 31' 0" long, 8' 0" wide 5th Wheel, especially with its 1 slides that maximize the interior space. It's 12' 5" high, so you can stand up, walk around and stretch out! And no matter how bad the weather outside, the modern 15000 BTU a/c unit and efficient 30000 BTU furnace will keep the climate inside comfy and pleasant! A family of 6 will find comfortable sleeping accommodations in this roomy RV! The master bedroom has an especially cozy King bed! When you're on the road, sometimes meals can be a challenge. 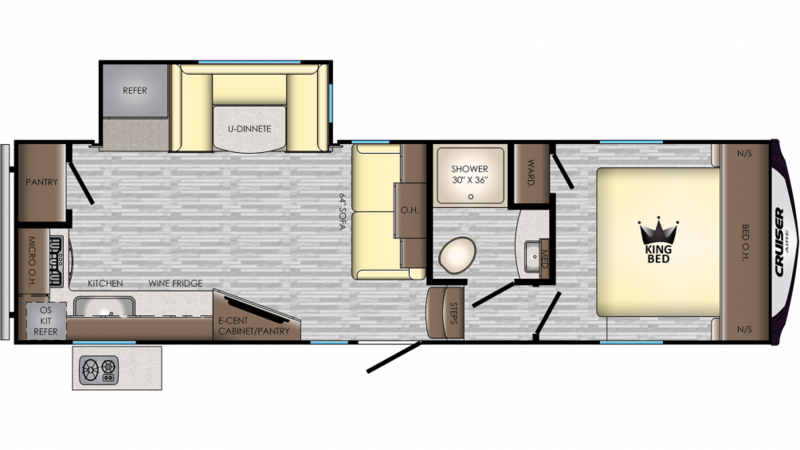 But they'll be a breeze in the CrossRoads Cruiser Aire 27MK thanks to the wonderful kitchen that comes in this RV! It has a full suite of modern appliances, including a 3 burner range cooktop and a handy 8.00 cu. ft. refrigerator that can stock your favorite meats, fresh veggies, fruits, and beverages! You'll be able to clean, drink, and cook with plenty of water from the 60 gallon freshwater tank! Enjoy hot meals and cold drinks out in the fresh air and sunshine! They're easy to whip up with the outdoor kitchen!